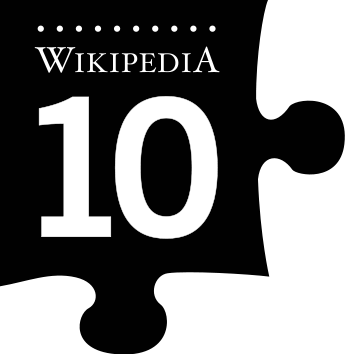 This weekend, on January 15, 2011; Wikipedia.org turns 10 years old. Wikipedia is a website I use at least weekly, and it is absolutely wonderful that they have been able to continue operating for all these years without the use of advertising. I am not the only one who uses it; the PEW Internet and American Life Project reports that 53% of adult Internet users use Wikipedia. I even have the free Wikipanion app on my iPhone for fast and easy access on the go. 1. Most commonly, in the course of my daily activity, I may come across a person or event that I know little about. I use Wikipedia to give me a brief synopsis on that person or event. In this case, I am just looking for some quick background information - and Wikipedia delivers. Example: I was reading a news article yesterday about how Arianna Huffington angered a fellow air traveler by not turning off her cell phone before takeoff, and I wondered how she came to be who she is today. Wikipedia gave me the background on her. 2. When I am bored and want to read a story. You can look up a host of things to read about. The other day, I was randomly thinking about how crazy the Salem Witch Trials must have been; so I read about it over lunch. 3. The key to Wikipedia's success is user contribution, so I started a page for my father-in-law Dr.David E Smith - who did not have one but is well known enough to have one in my opinion. Since I started the page, it has been edited by others. It is this collaboration and sharing of combined knowledge that makes Wikipedia great. 4. I used Wikipedia for research while I was in graduate school at USF between 2005-2007. Which is where I will give the one warning on Wikipedia. It is editable by anyone who feels they have something to contribute, and sometimes that information may be slightly inaccurate or from questionable sources. I haven't come across too many inaccuracies as the articles are moderated by the user community, but I was careful to never use Wikipedia as a cited source while I was in grad school. It was extremely helpful though as a starting point for a lot of research I needed to do for my degree. Wikipedia operates off of donations and per their FAQ page, they are a 501(c)(3) tax-exempt non-profit organization with offices in San Francisco, CA. Thank you Wikipedia for providing a free, open, and collaborative forum for collecting an enormous wealth of information.